Fleet tires have to be able to handle paved roads to dirt roads and everything in between. 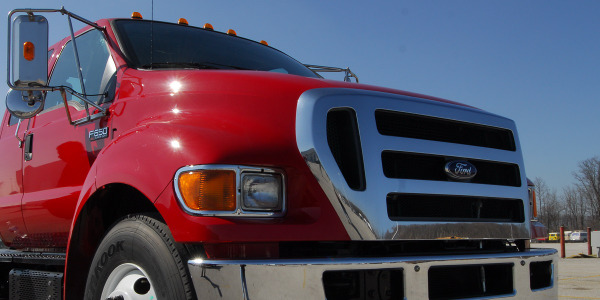 Having the right tires on your truck and equipment keeps drivers safe and fleets running. In a nutshell, a tire’s load rating directly impacts a vehicle’s carrying capacity. And, load ratings influence both passenger tires and truck tires. “Tires have different load ratings based on a combination of factors. Load ratings vary by tire size, construction, application, and inflation pressure,” explained Phillip Mosier, manager of Commercial Tire Development for Cooper Tire & Rubber Company. All tires, big and small, have a recommended load rating. “A tire’s load rating is specified by one of the various tire industry standardizing organizations around the world. This is true whether the tire is a passenger-type or light-truck-type tire,” said Bob Toth, director, industry relations for Goodyear. In the U.S., the Tire and Rim Association (TRA) is the standardizing organization for tires. The Association publishes an annual yearbook with load and inflation tables for each tire size. This vital information is also available on the sidewall of the tire. 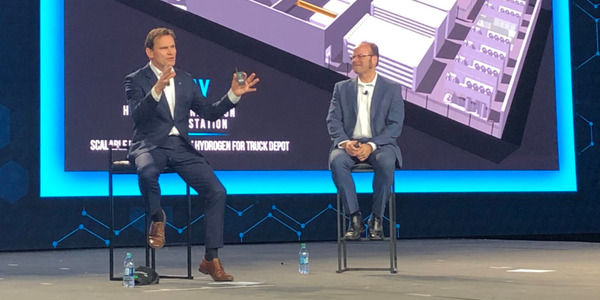 “The sidewall of a truck tire shows the maximum load-carrying capacity and the minimum air pressure required to carry this load,” said Helmut Keller, Continental’s head of brand and product management for commercial vehicle tires in the Americas region. How can someone tell if a tire is DOT-rated? One difference between passenger and commercial tires, however, is that only the minimum air pressure will be shown on a commercial tire whereas passenger tires also include maximum air pressure. With industry member assistance, load and inflation standards have been developed over the years taking into consideration the size of the tire’s air containment chamber, inflation pressure, and tire usage. 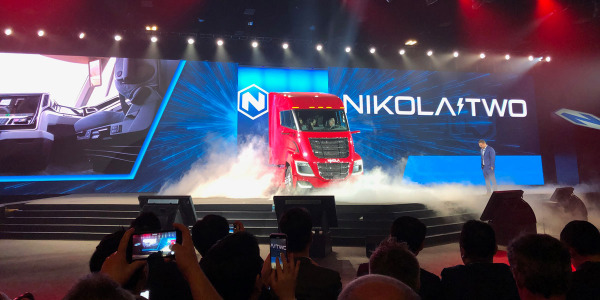 “Additionally, load provisions are specified for tires designed with reinforced constructions, typically described as XL (extra load) tires for passenger, or higher load range symbols for LT (light truck),” Toth said. Printed material may not reflect the latest load and inflation standards, so it is best to refer to online guides or contact tire OEs for help. “Always refer to the tire sidewall markings for maximum load and pressure information. Never exceed the rim manufacturer’s maximum air pressure limitation. When in doubt contact the tire manufacturer customer service representative for assistance,” said Paul Tatarchuk, special services coordinator for Michelin North America, Inc. Most truck tires today are rated G or H. “Based on the size, most G-rated tires can hold approximately 6,000 pounds, while an H-rated in the same size can hold roughly 6,500 pounds at the same pressure per tire,” said Rob Williams, senior director of TBR sales at Hankook Tire. Is it ever okay to use tires with different load ratings in the front and back of a truck? When looking at tire sizes, three tire sizes are used on OE tires for light-duty trucks: P-Metric, LT-Metric, and Euro-Metric. According to The Tire Rack, many ¼- and ½-ton trucks use P-Metric and Euro-Metric, and ¾- and 1-ton trucks use LT-Metric sizes. According to Mosier of Cooper Tire & Rubber Co., in addition to being used on light-duty trucks, P-Metric is a global term and are used around the world. The “P” stands for passenger and is found on sedans, coupes, minivans, small SUVs, CUVs, and some lighter-duty trucks. P-Metric tires are often broken down into additional categories: Standard Load (SL) and Extra Load (XL). “Standard load (SL) tires are intended for normal, everyday use. They will either be marked with ‘SL’ after the tire size or not marked at all. Extra load (XL) tires are designed to be able to carry a higher load than Standard Load tires,” explained Mosier of Cooper Tire & Rubber. LT-Metric is also a commonly used phrase, which stands for ‘light truck.’ These tires have the letters ‘LT’ in front of the tire size molded on the sidewall and are found on pickup trucks and light-duty Class 1-3 commercial vehicles. The tires can carry heavier loads due to a higher maximum inflation pressure, which varies depending on the load range. LT-metric tires frequently have a different construction than P-metric tires, including deeper tread depth. Pickup truck tires require a higher load index to carry the vehicle’s load. 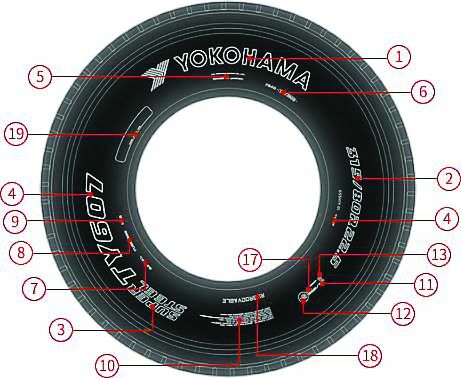 “This occurs when fleets use tires at a higher inflation pressure,” said Fardad Niknam, senior director of consumer product planning and product marketing at Yokohama Tire. Load range is an indicator of a tire’s strength and defines the tire’s load carrying capacity and inflation pressure. Light Truck (LT)-type sizes come in different load ranges identified by ascending alphabetic letters, starting with A. As the letters ascend, the tires are designed to carry more load and utilize higher inflation pressures. “In addition to tire size, the specific load range is important to help ensure load-carrying capacity to match the vehicle placard. 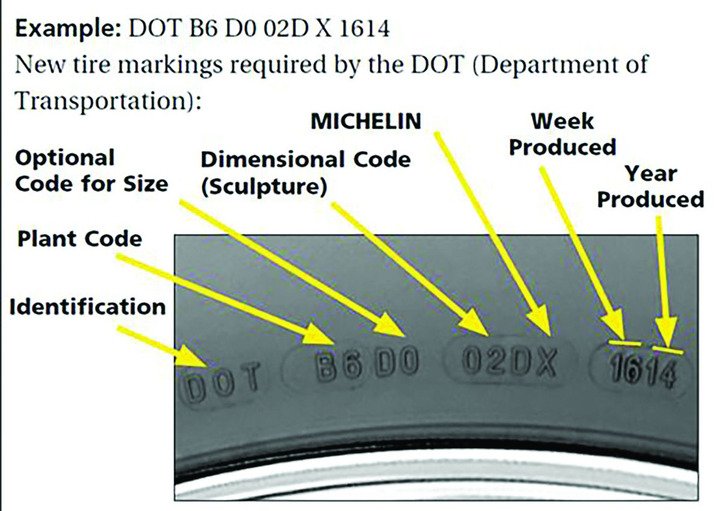 The load range, designated by letters such as C, D, or E, is required to be marked on the tire and is also specified on the vehicle placard,” Toth said. Euro-Metric tires are intended for passenger vehicle use. They do not have a “P” in their numbering. Euro-Metric and P-Metric tires, if the same size, are the same in dimensions with small differences in load capacity and inflation pressure tables. 1. Manufacturer’s Name; 2. Tire Size Designation; 3. Brand Name; 4. Tread Pattern Name; 5. Country of Origin; 6. Identification Serial Number; 7. “RADIAL” Designation; 8. “TUBELESS” Designation; 9. Mud and Snow Labelling; 10. Safety Warning; 11. Service Description (LI & SS); 12. Additional Service Description; 13. ECE Mark; 14. Testing Pressure; 15. “REGROOVABLE” Designation; 16. Tire No. Marking Position. All tires are marked with size, maximum load-carrying capacity, and maximum inflation pressure. “The maximum load capacity is only that if the tire is inflated to its maximum air pressure. The maximum inflation pressure listed is not necessarily the recommended inflation pressure. Most P-rated tires have a maximum inflation pressure of 44 psi marked on the sidewall; however, this may not be the inflation pressure needed for the vehicle,” Mosier said. The experts recommend to always use the vehicle placard or owner’s manual to find the specified tire size, load range, and tire inflation pressures. “The placard or owner’s manual provides the vehicle manufacturer-specified tire size and inflation pressures, considering the vehicle’s maximum load carrying requirements. If tire size changes, the new size must have an equal or greater load carrying capacity versus the original equipment placard size. If you make vehicle modifications, consult the vehicle manufacturer for guidelines,” Toth added. Does average traveling speed impact tire load carrying capacity? A throwback to days gone by, tire ply rating is no longer a meaningful measurement today. “Before the adoption of load ranges, ply ratings were used to identify the relative strength by indicating the actual number of cotton casing plies. A higher numeric rating or ply count identified tires featuring stronger, heavier duty constructions,” said Todd Bergeson, senior manager, Product Planning & Technical Services for Toyo Tire U.S.A. Corp.
Materials used in the construction of modern tires have improved significantly, and therefore fewer body plies are required to achieve the strength requirements. “Tire ply ratings are a throwback to the old system when bias ply truck tires were prevalent, which measured a truck tire’s carrying capacity by the number of plies in the carcass or body. Today’s radial truck tires have only one steel ply in the carcass, but it is still used as a measure of their carrying capacity. 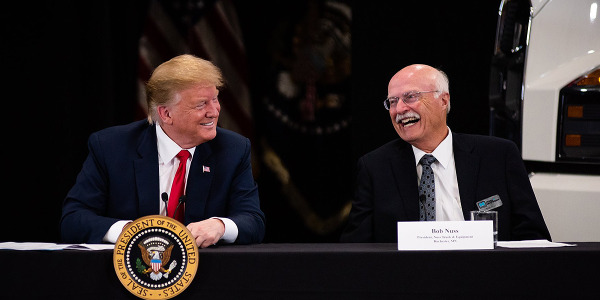 For example, 14-ply tires carry more weight than 12-ply tires,” said Walt Weller, senior vice president of Double Coin Tires. When bias tires first came about, the strength of the tire casing was built by adding layers of cotton fabric. Ply rating related to the number of layers of cotton in the tire. Each layer was placed with the thread at an angle to each other. This system added strength due to even tension distribution. “For example, a Load Range G tire is equivalent to a 14-cotton-ply tire. But, since cotton ply has not been used for many years, having been replaced first by nylon and now with steel cords, these numbers are mostly irrelevant,” said Keller of Continental. The alphabetical Load Range rating was created in 1972 as a new standard since the cotton-ply rating has become irrelevant. 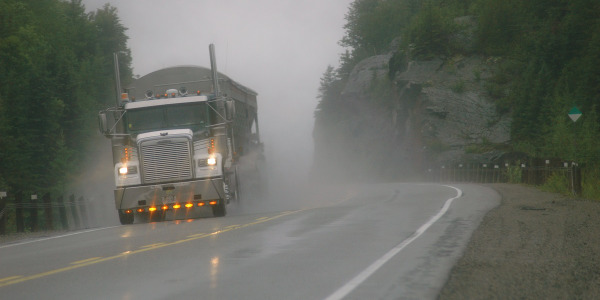 “However, the most accurate measurement from an engineering perspective is a Load Index, which relates to the maximum load-carrying capacities allowed at the speed indicated by the speed symbol,” explained David Crawford, head of truck tire development for commercial vehicle tires in North America for Continental. Today, a tire obtains its strength from the sidewall carcass plies when inflated to the proper pressure. The stronger the sidewall carcass plies, the higher the tire load rating. For example, ‘LRH’ load rated ‘H’ range can hold up a heavier weight than ‘LRG’ because the steel sidewall plies in an ‘LRH’ are stronger than an ‘LRG,’” said Tatarchuk of Michelin North America, Inc. But, in some cases, a tire’s Load Range is not an accurate reflection of its Load Index, especially on low-profile tire sizes. “The TRA allows manufacturers to specify additional load-carrying capacities beyond the Load Range standards, so the tires are labeled as Load Range H, even though they can carry additional weight beyond that load rating. For example, the Conti EcoPlus HS3 steer tire in 295/75R22.5 is rated for a maximum weight of 7,160 pounds (single), which would support a vehicle with a 14,000-pound front axle. 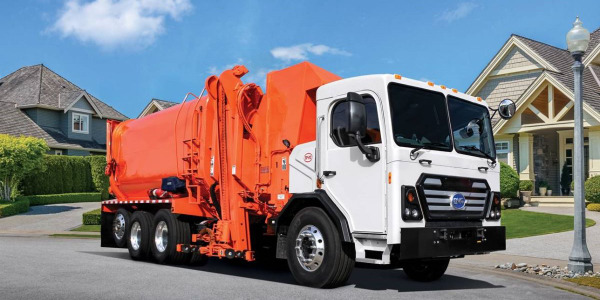 Although it is a Load Range H product, the Conti EcoPlus HS3 is rated for a Load Index 149, above the standard TRA guidelines for a Load Range H product, allowing it to carry the additional weight,” Crawford said. Load Index values are used in Europe and sometimes in Canada. They are not typically referenced in the United States. How much can truck tire size be changed on a truck to in-crease carrying capacity before it is unsafe (if at all)? Plies on tires enable them to be inflated and keep their round shape. Ply rating is an older terminology used to represent the tire’s load carrying capacity. The newer language is Load Range. 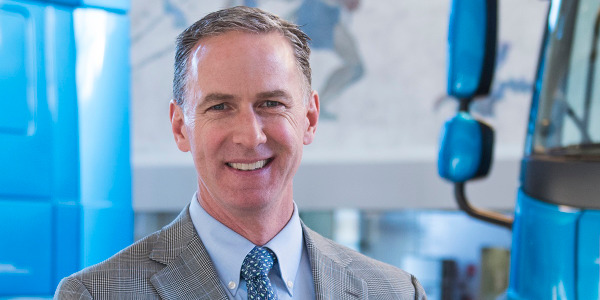 “For example, when someone references a “14-Ply Rated” tire, they are referring to a Load Range G tire,” explained Mosier of Cooper Tire & Rubber. Tire size is a critical factor in determining the load carrying capacity. “A 225/70R19.5 LR G tire has a maximum load capacity of 3,970 pounds at 110 psi when used in a single position. A 245/70R19.5 LR G is a larger tire and has a maximum load capacity of 4,540 pounds at 110 psi when used in a single position. 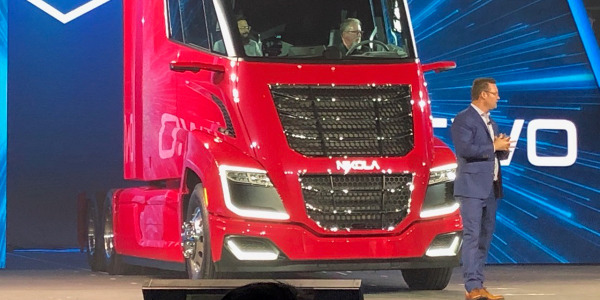 Both are Load Range G tires, but they have different maximum load capacities even with the same inflation pressure due to the tire size,” Mosier said. LT tires are typically Load Range C, D, or E. Commercial truck-bus tires are usually Load Range F-L.
How does tire pressure/inflation impact a tire's load capacity? A trailer tire is subject to the same TRA standards as all truck tires. The total weight of the cargo cannot be evenly divided by the number of trailer tires, so it is best to assume the weight is the maximum that each tire would carry. Trucks should weigh each axle in a worst-case scenario and should plan for uneven weight distribution, in which one trailer tire carries more weight than another. Tire load information is vital when trailering. “As the weight of the vehicle increases the tire rating should be accounted for to ensure the tires can safely support the load,” said Williams of Hankook Tire. The TRA also includes a load and inflation pressure table for trailer tires in its annual yearbook. “Goodyear recommends trailer tires are selected and inflated per the manufacturer placard on the trailer. 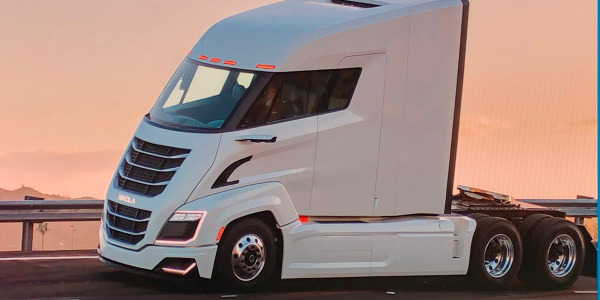 In cases where the trailer manufacturer placard specifies ST-type tires, LT tires in the same size and load range will not work as they do not have adequate load carrying capacity,” said Toth of Goodyear. For example, in cases where the trailer placard specifies an LT (light truck) tire, Toth noted the LT size is acceptable for use. “Further, because ST (special trailer) tires in like size and load range are designed to carry more load than LT (light truck) tires, an ST tire could be substituted for the LT, but the trailer’s max loading remains unchanged,” Toth said. When a truck is pulling a trailer, weigh the tractor and trailer. “Compare the load on each axle needs to the Data Book Load and inflation table. A proper psi corresponding with the load is then used,” noted Tatarchuk of Michelin North America. All tire manufacturers publish a load vs. pressure inflation table for the tires they manufacture. “A common mistake many truck operators make is to use the maximum sidewall pressure as the target inflation. The maximum pressure is only needed when the tire is carrying the maximum load. Tires inflated to a pressure higher than necessary will not have the correct contact patch and will not perform in best possible manner,” Tatarchuk said. But it’s always best to follow specific OEMs recommendations. “If you replace your tires with an exact OE replacement tire or a suitable replacement tire that meets or exceeds your vehicle’s load requirements according to your vehicle manufacturer’s placard, you will be able to tow up to the maximum trailer rating of your vehicle. We never recommend towing more weight than your truck is rated for, even if you have increased the load-carrying capacity with higher-rated replacement tires,” said Bergeson of Toyo Tire U.S.A. Corp.
Tire markings such as the ones illustrated are required by the U.S. Department of Transportation (DOT). Little has changed related to tires over the past ten years, including additional load range values, super single tires, and more truck modification. Super Single tires have also been added to the market (445/50R22.5 and 455/55R22.5) to assist fleets with fuel savings as well as additional payload to reduce shipments. Additionally, today’s trucks are requiring the ability to carry more payload. 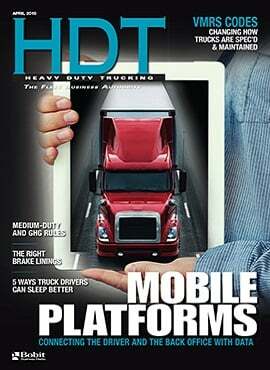 “The load rating requirements on light trucks continue to increase. 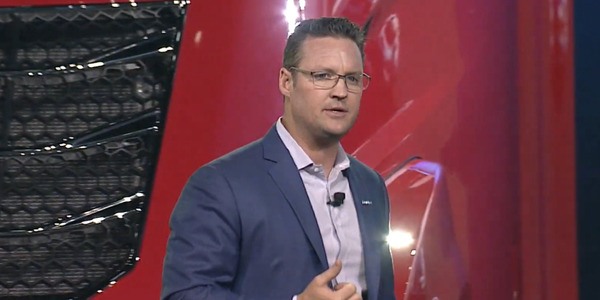 Because of this, Toyo Tires offers three of its light truck tires with sizes available in Load Range F. Those are flotation-style products designed for use on late-model pickups which require 80-psi pressures,” said Bergeson of Toyo Tire U.S.A. Corp. Modifications on trucks have also become more popular. “As a result, the new vehicle weight may require a higher load capacity tire. For that reason, usage of load range F tires is on the rise,” said Niknam of Yokohama Tire.